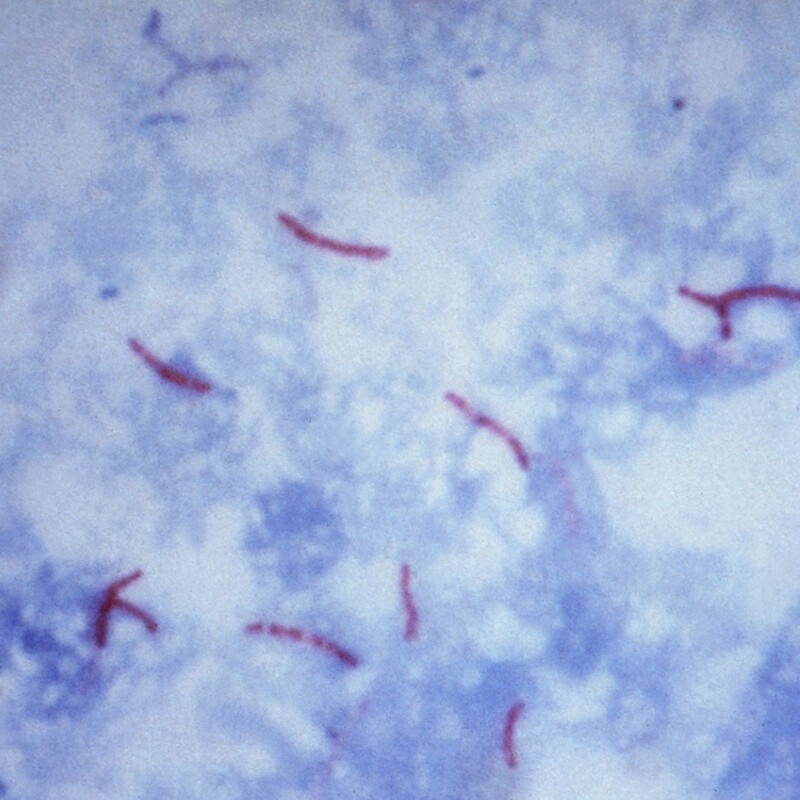 AFB Ziehl-Neelson Kit (Hot Method) | Polysciences, Inc.
Photo: Mycobacterium tuberculosis bacteria revealed using acid-fast Ziehl- Neelson stain; Magnified 1000X. Image courtesy of CDC Publich Health Library/Dr. George P. Kubica. Can also be used to stain other bacteria like Nocardia. Kit contains a primary dye (carbol-fuchsin), a decolorizer (acid-alcohol) and a counter stain (methylene blue). Decolorizer is used to decolorize the bacteria that "dislike" the primary stain. Counter stain is used to stain those bacteria which were decolorized by the acid alcohol. Acid-fast bacilli will stain bright red, while non-acid fast organisms will stain blue or green.